FRANKFURT, Germany - HARMAN's Soundcraft is extending its range of digital audio transport option cards for its Vi, Si Compact and Si1/2/3 series digital consoles with all options expected to start shipping this year. HARMAN is one of the pioneers of AVB IEEE 802.1 and an active AVnu Alliance member, and with the standards now ratified work has commenced to make AVB audio networking available on the Vi, Si Compact and Si1/2/3 series consoles. Plans are also in place for Dante network cards compatible with Vi, Si Compact and Si1/2/3 series consoles, following an agreement reached between Soundcraft and Audinate. "This agreement is a reflection of HARMAN's responsiveness to its customers who want Dante networking," added Lee Ellison, Audinate's CEO. To further enhance integration between HARMAN's other Professional audio brands, option cards are also in development to provide a simple on and off ramp between Vi, Si Compact and Si1/2/3 series consoles and the BSS Soundweb London digital audio bus system BLU link. The BSS digital audio bus is integrated with the majority of BSS Soundweb London series products and with the PIP-BLU is available for a number of Crown amplifiers. Existing expansion cards already available for Soundcraft digital consoles or stage boxes include Cirrus Logic, CobraNet(r), MADI, Aviom(r) A-Net, AES, Digigram Ethersound(r), Riedel Communications RockNet(r), Alesis ADAT, SD/HD SDI and Dolby(r) E.
Soundcraft Product Manager Richard Ayres added, "Connectivity is an important part of everyone in pro audio's future; new products must integrate with legacy systems and infrastructure whilst existing products must adapt to emerging technologies. 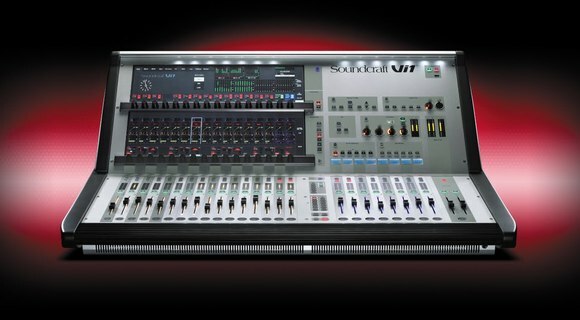 With these announcements we are making it clear that by investing in a Soundcraft console you are assured it will remain future-proof and core to an integrated system." Audinate revolutionizes the way that AV systems are connected by transporting high-quality media over standard IT networks. Using Audinate's patented Dante networking solution, digital media networking just got easy. Audinate's solution has been licensed by customers across the AV industry and can be found in installations and live sound applications globally. Audinate is a Promoter Member of the AVnu Alliance(tm). Audinate offices are located in US, United Kingdom and Australia. Dante is a trademark of Audinate Pty Ltd.